My Weight Watcher friends love this. Of course anyone could do this without a punch card, but it just is an added bonus to punch it and see your progress and get the reward! 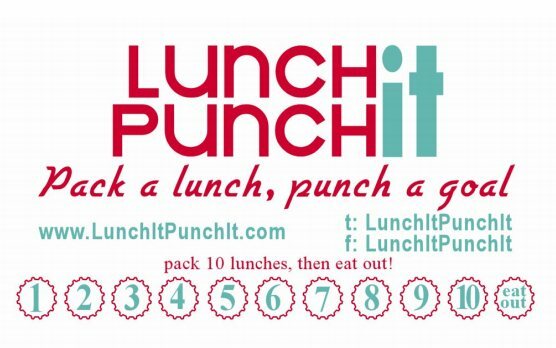 great motivator for packing healthy lunches, saving money and staying on plan. Wayne and I are adapting it for dinner. Good stuff, Linda! I agree, having the card probably makes a good bit of difference to the endeavor. Hope you & Wayne are well!